Box and cover of stoneware. Deep, square shape with shallow domed lid fitting over a raised flange. 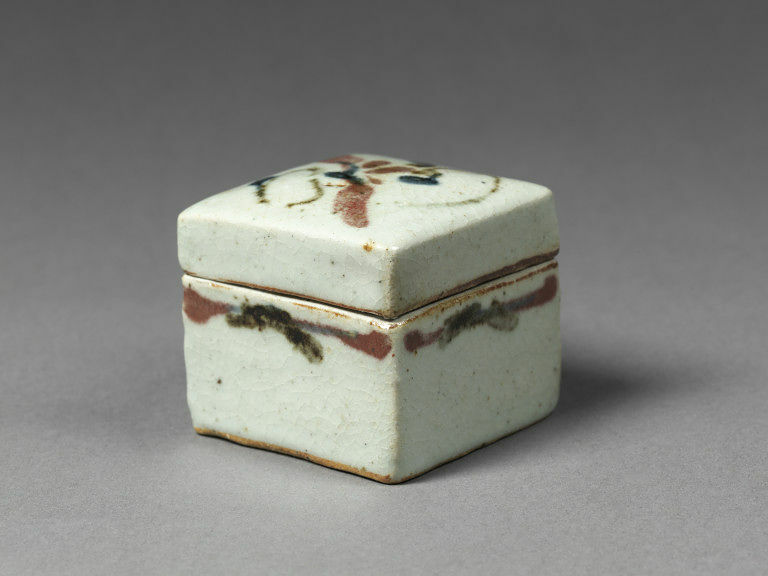 Coarse greyish white ware with thick crazed glaze of greenish blue tint; painted with a leafy spray on the lid, and with a band of sketchy strokes below the rim of the box. Given to the donor by the potter. 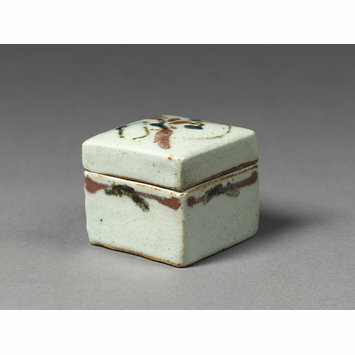 Box and cover, porcellaneous stoneware, painted in underglaze blue, red and brown; made by Kanjiro Kawai, Japan, about 1935-50. Box and cover, porcellaneous stoneware. painted in underglaze blue, red and brown.